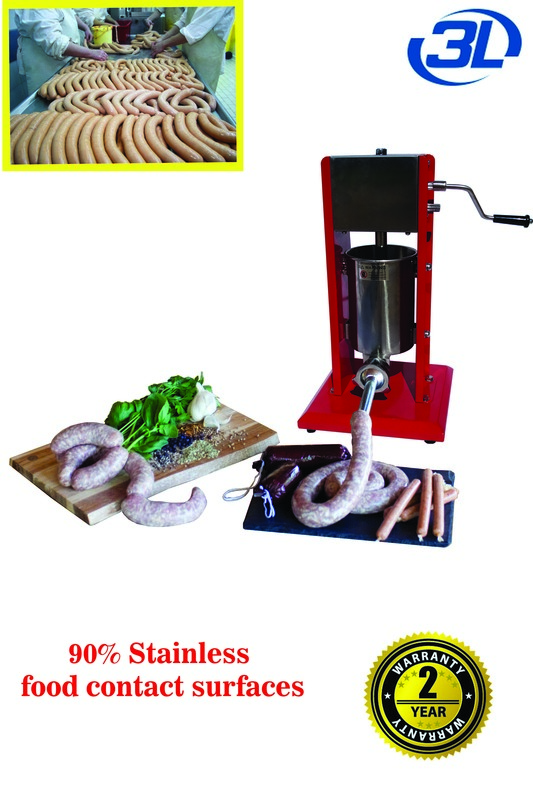 When making sausage on a smaller scale – Sausage-makers often use machines like the Sunbeam or Kenwood type Mincer/Grinders (available on eBay) to stuff their sausages. But when you use these you find that they have a major drawback. 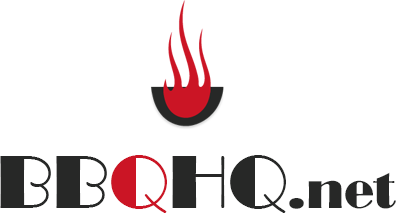 They have an auger inside – which tends to “moosh” the fat and meat. 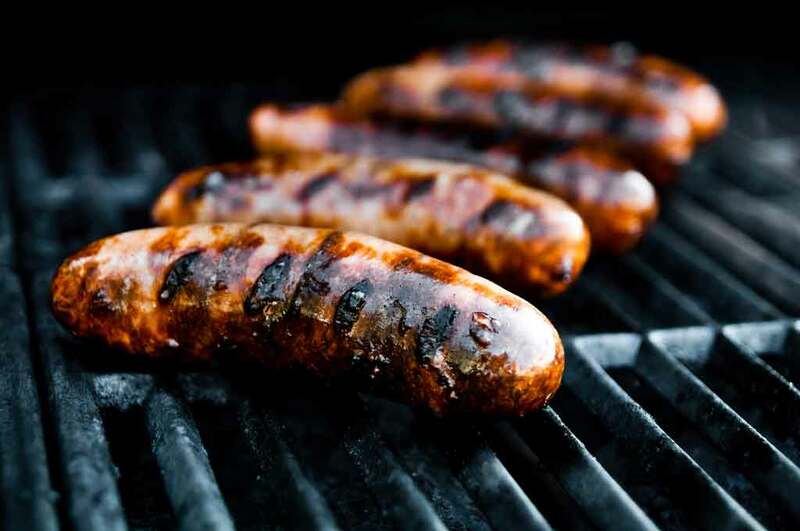 The auger also slows down the operation of the unit; because it gets in the way of meat flow. 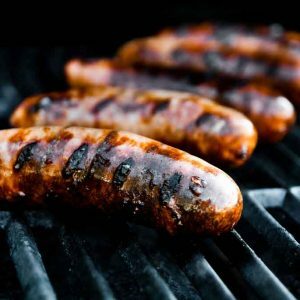 If you want to make home-sausage in any volume, you want to fill casings more quickly and better, than an electric mincer allows. 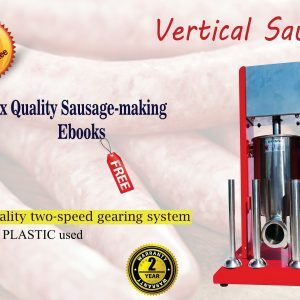 This is the point at which sausage makers switch from amateur equipment to using a specialist device called a Sausage Stuffer. These machines are really simple i.e. hollow cylinders, into which you place the sausage meat mix. A piston (in this case hand cranked) gently forces the meat paste out of a nozzle, directly into the sausage casing. 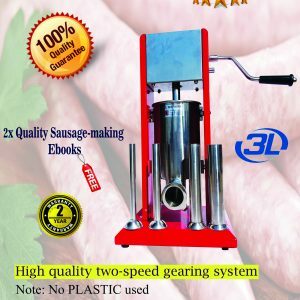 The advantages of this type of device are much higher speed filling without hassle – and smooth operation with NO smearing of meat and fat particles. 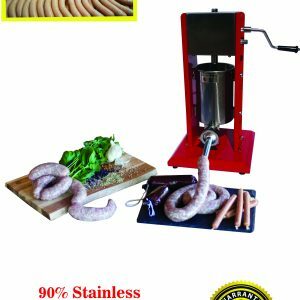 This makes for much higher quality Sausages or Salami, Pepperoni, Kabana etc. 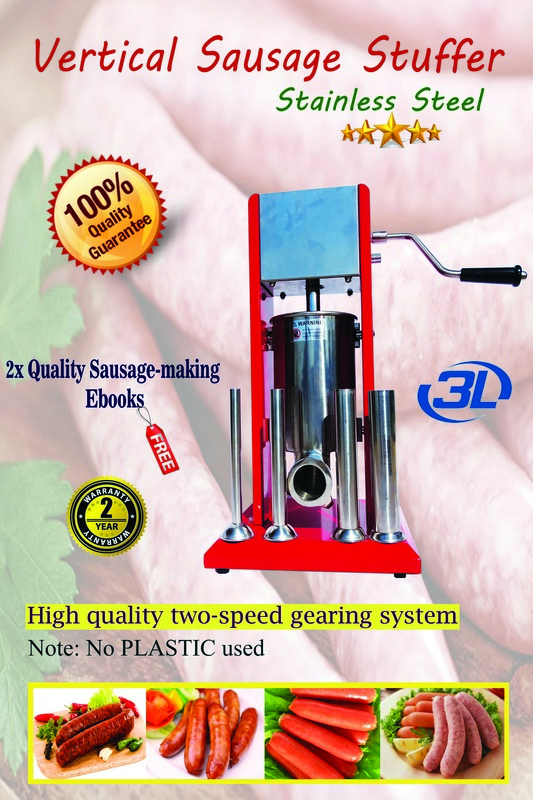 It is the choice of stuffing tool for serious sausage makers. 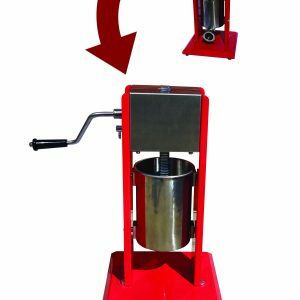 The unit offered is made with a high-quality stainless steel barrel with a red painted chassis, metal gears and quality polished food grade alloy piston. 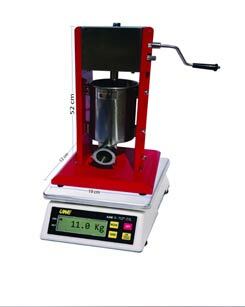 The 3 Litre size makes it versatile and easy to use. It will fit easily on a bench or table-top; it is light (and easy to stow away). It features a silicone piston ring – for great flow characteristics and easy clean-up. 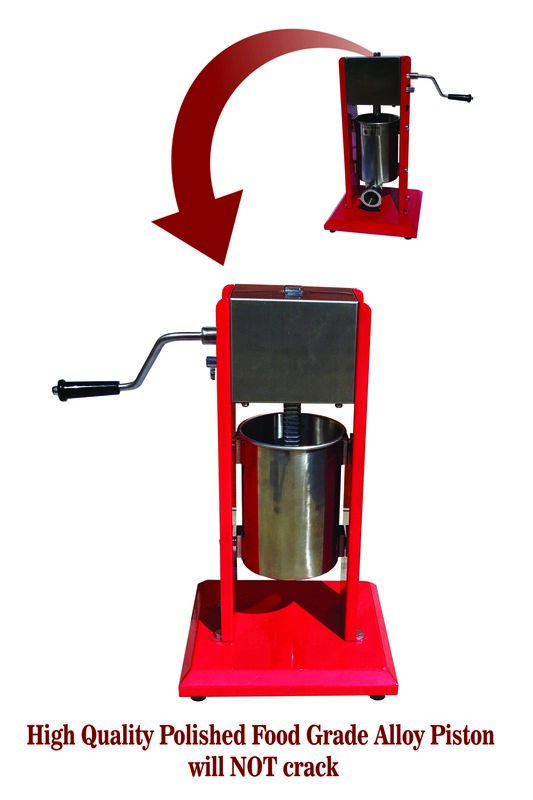 The cylinder simply swivels out of the way – so that you can reload it with meat during operation. FOUR stainless nozzle sizes: 16 mm, 22 mm and 32, and 38 mm. So – no matter which way you look at it; from quality, size, features, and price this is the machine that ticks all of the boxes.